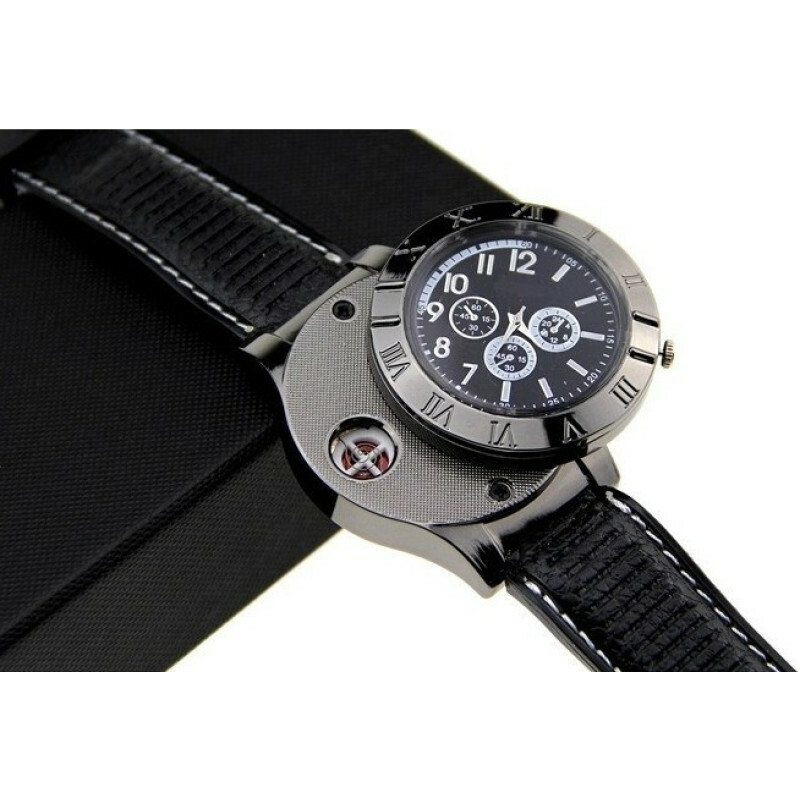 Inspired by the roaring 20's and the rise of hidden speakeasies, this watch carries within itself a secret as well. With a tiny clockwise push, the secret compartment within ignites one of the simple pleasures in life -- a windproof, discreet cigarette lighter. The Perpetual Spark Watch's oversized bezel and engraved roman numerals exude the old world touch one would find from this long forgotten era. If you want to show the world that there is more to you than meets the eye, this is the watch for you. USB Charged - Easily charged from any powered USB port. 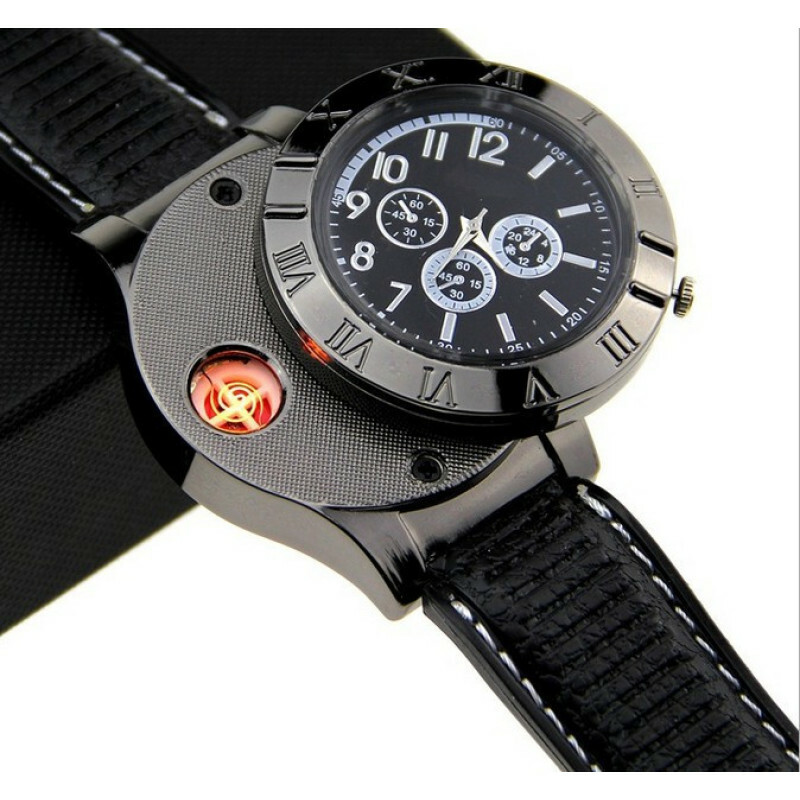 Watch Face Size: 4.5cm Diameter. 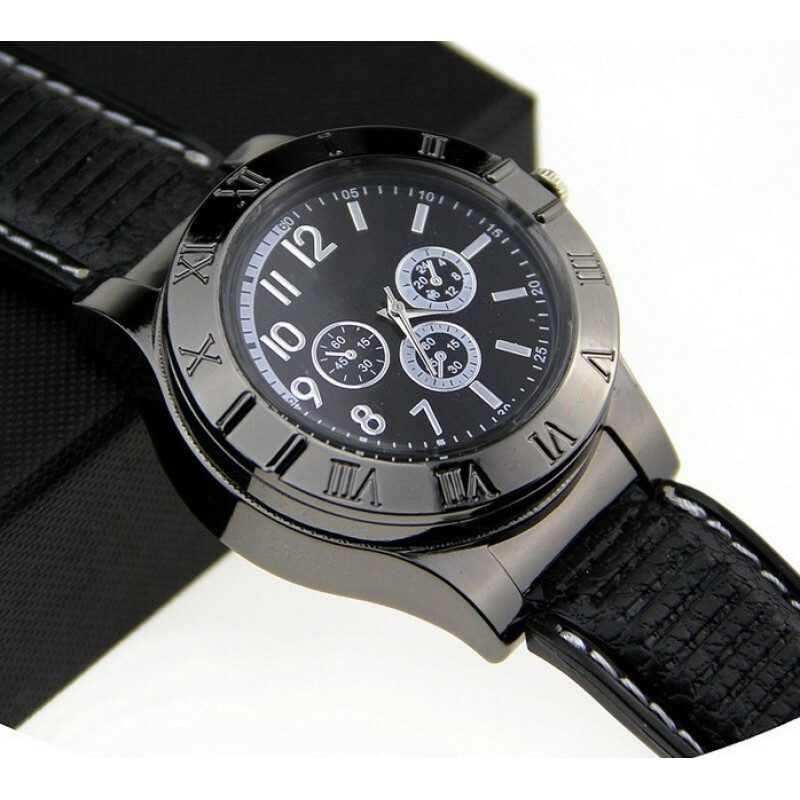 Watch Total Length: About 26cm.